We must ask what it takes to wield that kind of energy, much less consume it. It doesn't take tools so much as the strength and motivation to use the tools. That raises core questions: what are the values necessary to build a global civilization? Do we have the stamina and guts to reach this level of development? Will we do it for good or ill? And will those in power - given how power corrupts - know the difference? The observer effect. Image Source: Futurism. To answer those questions, we need to revisit the quantum mystery known as the observer effect, in which observation of reality changes reality. The observer effect, if also taken to a macro level, could be a crucial element in creating this new global order and satisfying its planetary energetic appetite. 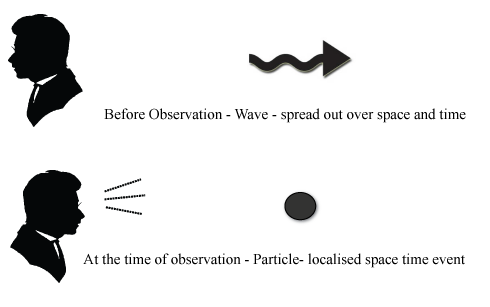 The Observer Effect in Quantum Mechanics (23 October 2014). Video Source: Youtube. The Quantum Experiment that Broke Reality | Space Time | PBS Digital Studios (27 July 2016). Video Source: Youtube. How the Quantum Eraser Rewrites the Past | Space Time | PBS Digital Studios (10 August 2016). Video Source: Youtube. Given that scientists are taking quantum effects to the macro level, it stands to reason that a race would be on to be able to control these processes. Alt-researcher Dr. Joseph P. Farrell is an Oxford-educated scholar gone rogue on Youtube. As he puts it, he speculates until he reaches the end of the twig and falls off. He thinks that manipulation of mass perception about a global event could trigger an observer effect which could transform the very substance of reality - and alter the course of history. Some have even said the quantum eraser could change past history as well. [M]y most recent book Microcosm and Medium I noted how the physicist Wheeler, one of the 'inventors' of the multi-verse theory of quantum mechanics, was fascinated by the question of whether or not the observer principle of quantum mechanics was operative at a much more macrocosmic level, not just at the level of particles, but in the larger universe; he was spurred to this question by a consideration of group observers, and whether they could, so to speak, bend the fabric of reality by an agreed-upon group intention. The implications of his speculations are such that the idea of entanglement of information between two particles could be extended to whole systems." It is a lot to consider, and all too easy to depart from concrete scientific findings into strange territory. In that territory, it seems worth asking whether the philosophical motivation of the observer is a factor in quantum mechanics. Physicists have not asked whether the emotions of the observer might change the observer effect. Nor have they asked how that changed effect might alter entanglement, on quantum or even macro levels. Humans have intuitively understood the observer effect for thousands of years, in terms which are denied by scientists. Not only do myths and religious beliefs accept the observer effect; they take it for granted that the phenomenon exists on a macro level. In that context, one can ask whether the power of observation is a force or energy in itself and whether that energy has a moral quality. The concept that observation is an energy with moral connotations has great appeal to the human spirit. People who are staunch secularists unquestioningly accept the idea when they encounter it in fanciful narratives. You only need to hear the words 'Jedi' and 'Sith' - knights of the fabled 'Force' - to know what I mean. Are the Light Side and Dark Side real? Can energy be moral? This is the assumption of popular American space operas. To use Star Wars terms, if one looked at a particle with the positive state of mind of a Jedi, the quantum impact on a particle would be different than if one looked at that particle with the negative attitude of a Sith. Star Wars Revenge of the sith ''You were my brother Anakin!'' 1080 HD (7 March 2016). Video Source: Youtube. Physicists deny that the observer effect has anything to do with human consciousness, conceived of as an energy directed by the mind toward the outside world and motivated by different moral attitudes. In the observer effect, observation does not have to be conducted by a person, it can simply be particles of other nearby matter interacting with the particle that is 'observed.' 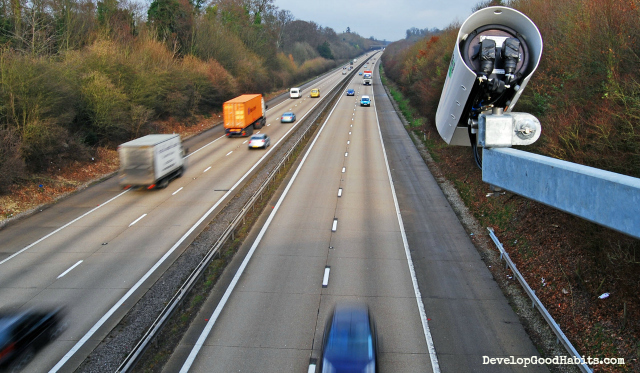 This, of course, raises the separate, grim concern that we are all observed and changed by the machines we use. Every smartphone, tablet and computer are basically a spycam and live microphone which observe us. At the same time, we are also staring back at these devices. We cannot tell who, or what, is the empowered observer. At any rate, Thomas DeMichele at Fact / Myth acknowledges, "Observation affects outcome." But he cautions that this fact could be due to errors in scientists' measurements; beware, he says, of the temptations of pseudoscience and erroneously considering quantum effects in macro terms. As for humans observing things at the macro level, Paul Anlee states bluntly: "Consciousness plays no role in that observation." Anlee also refutes the common belief in New Age circles that we create reality with our thoughts and feelings, projected outwards. New Experiments Show Consciousness Affects Matter ~ Dean Radin Ph.D. (7 June 2016). Video Source: Youtube. While Anlee denies the possibility that the observer effect could occur at the macro level, we see research this year has proven him wrong. 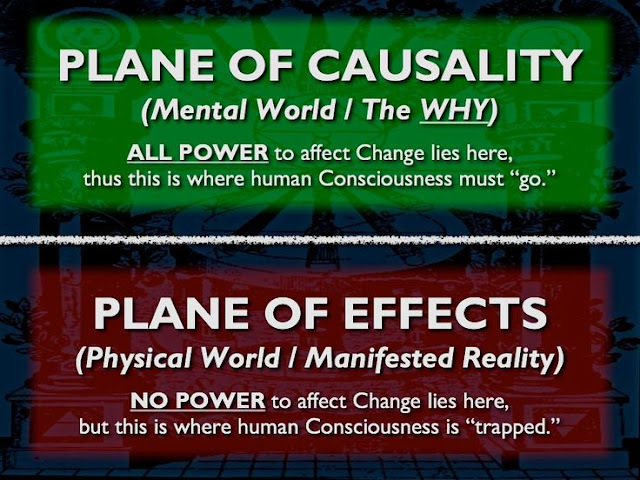 A number of experiments led by Dr. Dean Radin, an electrical-engineer-turned-parapsychology-researcher, have recently attempted to prove that consciousness affects matter. The skeptical blogger at Bare Normality dismissed these efforts: "On the whole, this is not handled like a physics experiment but more like one in social science." (!) Gabriel Guerrer countered with a 2017 scientific paper, "Consciousness-related interactions in a double-slit optical system," published in OSF Preprints, and repeated Radin's findings. In addition to the strict conditions of scientific experiments, there are conventions of academic authority, wherein certain topics are automatically dismissed as not serious or respectable. As such, even if findings do challenge the mainstream view, those working on fringe questions suffer blows to their reputations and academic credibility. Their ideas are not given the same degree of consideration or funding and their careers are ruined. People working in scientific fields may be privately curious about these ideas. But they wouldn't dare pursue them openly in public unless they felt it was safe to do so, or if the questions could be couched in terms which were seen as acceptable within the scientific scholarly subculture. I can make no unifying comment on these developments other than to point out that the bleeding edge of physics research is entering weird terrain which is normally the domain of theologians and spiritualists. The ensuing debates also chime with general popular mentalities, in which people believe they can shift their world with a change in attitude. 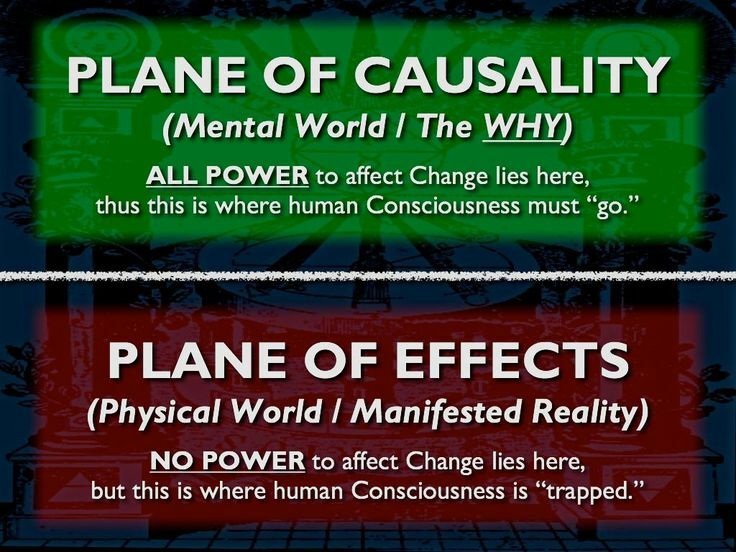 In this belief system, empowered consciousness can reshape time and space, through a combination of free will, personal choice and divine timing. "The Spiritual Laws are split into four categories, the first being ‘The Basic Laws of Life’. This set of laws consist of: The Law of Attraction, The Law of Request, The Law of Resistance, The Law of Reflection, The Law of Projection, The Law of Attachment. The second set of Universal Spiritual Laws are ‘The Laws of Creation’. These consist of: The Law of Attention, The Law of Flow, The Law of Abundance, The Law of Clarity, The Law of Intention, The Law of Prosperity, The Law of Manifestation and The Law of Success. The third set of Spiritual Laws are called the ‘Laws of Higher Awareness’. These laws are: The Law of Balance and Polarity, The Law of Karma, The Law of Reincarnation, The Law of Responsibility, The Law of Discrimination, The Law of Affirmation, The Law of Prayer, The Law of Meditation, The Law of Challenge. The fourth and final set of Universal Spiritual Laws are the ‘Laws of Higher Frequency’. These laws consist of: The Law of Frequency or Vibration, The Law of Miracles, The Law of Healing, The Law of Purification, The Law of Perspective, The Law of Gratitude, The Law of Blessings, The Law of Decree, The Law of Faith, The Law of Grace and The Law of One." In other words, the moral intention you use to wield energy to change matter is as important as the fact that you wield energy at all. At the most outlandish level of speculation, we can only wonder - as Dr. Farrell has done - whether or not it is possible to change the unfolding reality of whole societies by directing mass consciousness. I discussed this possibility in my posts: The Brontë Effect; Visits from the Dark-Haired Girl; Magic and the Technological Revolution; and CERN is Wonderland. Thought Coupled With Feeling Manifests Reality! (Law Of Attraction) (15 July 2014). Video Source: Youtube. Beyond the development of quantum computers and AI, we must ask if we are really the 'quantum computers' who are being programmed to see things in a particular way and concentrate mass energies on certain events and ideas. That is, that human consciousness, unified through a tool such as the Internet, could be a loaded quantum gun, more powerful than any artificial intelligence we could invent. That is why, in moments when the mass media reach a high pitch of hysteria about some event and direct us to look at it, it is worth checking whatever people are not looking at or are not thinking about. It is particularly worth considering whatever the mass media are actively discouraging us from seeing. It must be so tempting for those builders of high technology, who were in the right place at the right time in the 1970s, '80s, '90s and 2000s, to imagine their children as emperors of earth's first Kardashev Civilization Type I. It must be even easier for them to deceive themselves into thinking that the oppressive architecture they build is for humanity's greater good. It would be easy for them to tell themselves that if there are, and will be, bodies buried in the foundations from this period, so be it. The ends justify the means. The Minds of Men | Official Documentary by Aaron & Melissa Dykes (16 December 2018). Video Source: Youtube. It would certainly seem, with the advent of 5G and other subtle technologies which invade the mind, body and spirit, that tech leaders have succumbed to the temptations of a vast, anticipated future power. The alt-vloggers at the Youtube channel, Truthstream Media, devote countless videos to research they have done on decades of patents, agreements, reports and research talks. They have just summarized years of findings in the above documentary. These developments, largely unknown to, or ignored by, the public, seem to confirm an ugly, long-term agenda. The collective consciousness is constantly buffeted by economic and political news and mainstream propaganda. It is distracted by endless blips and bleeps. It is degraded by unfettered temptations and the bewitching call to play anonymously in darkened fields. It is hammered by marketing, entertainment, and hypnotic mass education and programming. Driven thusly, we could become the unconscious builders of a Kardashev Type I Civilization, which no one would want to inhabit. In moments of guilt or unusual candour, some tech developers in the Silicon Valley have admitted that they deliberately built the technological matrix to be this way. That's before we get to the unabashed soul-violation of the Chinese social credit score system. I follow these trends because I am curious. I want to know if these seminal years of training in the virtual arena will bring forth a surprise. There may be a higher capacity in human nature to resist control, censorship and insidious surveillance. There could be a refusal to be enslaved by mechanical seduction and polarized groupthink. There may be an epiphany which transcends the fall into tech addiction. I want to know if there is a resolute positive stance that is spontaneous, and hence untraceable and unanticipated. Perhaps there is a core impulse in the human soul which appears out of nowhere across cultures, regardless of education, age, economic situation, or social or religious conditioning. I hope it cannot be blinded or sidetracked by vicious and petty tech-egotism. I want to know if the Tech Revolution will have a Light Side. *Star Wars images and characters are © Lucasfilm/Disney. Reproduced here non-commercially under Fair Use.